Such a lovely card for your friend, Sylvie. Enjoy a fab time at Ally Pally...you lucky girl!! 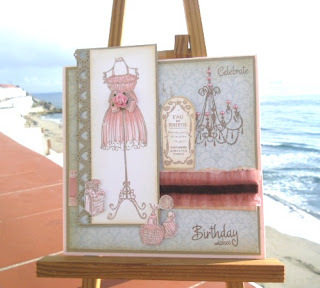 Pretty card Sylvie - wouldn't you love to have this dress - I would!